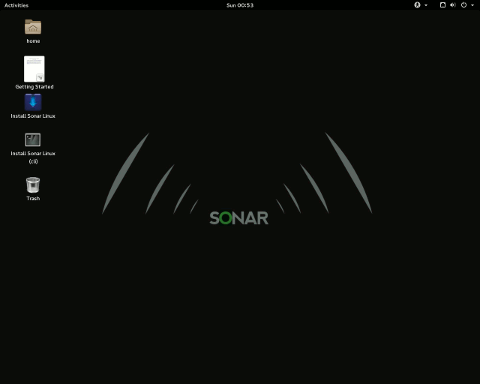 Sonar GNU/Linux aims to be an accessible GNU/Linux distribution to people of all needs. The project's goal was to bring awareness of free accessible software to people that depend on assistive technology. 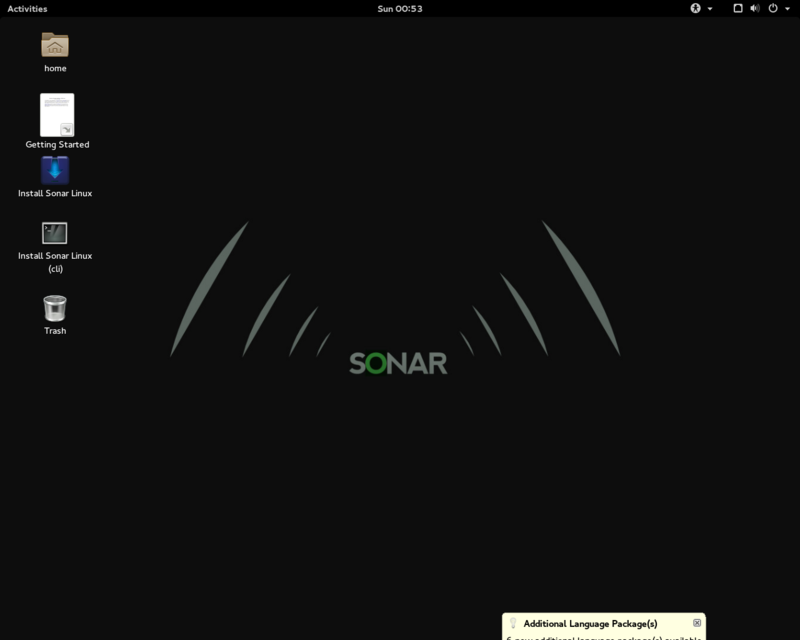 It was based on Manjaro Linux. Rate this project The MX Linux team have announced the release of version 18 of their distribution. The new release is based on Debian 9.6 "Stretch" and features both core system updates and new versions of desktop applications. "We are pleased to offer MX-18 Continuum. MX-18 offers the following features: Updated packages - the latest updates from Debian 9.6 'Stretch', antiX and MX repositories: GIMP 2.10 (with plugins); MESA 18.2.6; updated firmware; 4.19.5 Linux kernel (with blk-mq file system corruption patch). The new kernels feature Meltdown and Spectre mitigation, even on the 32-bit kernel. The 32-bit ISO image has a PAE kernel for RAM usage above 4 GB. Easily change kernels, say to the latest 'liquorix' kernel or downgrade to Debian 'stable' kernel (4.9) with MX Package Installer. Firefox 64.0, VLC 3.0.3, Clementine 1.3.1, Thunderbird 52.9.1, LibreOffice 6.0.1, some Xfce components updated (Xfce Settings, Thunar). New and updated mx-apps: selectable themes for installed system GRUB boot menu and Plymouth boot-splash via mx-boot-options; system-keyboard and system-locale options allow easy access to configuration of system default keyboard and locales management...." Additional information can be found in the project's release announcement. Download: MX-18_x64.iso (1,375MB, SHA256, signature, torrent, pkglist), MX-18_386.iso (1,389MB, SHA256, signature, torrent). Also available from OSDisc. 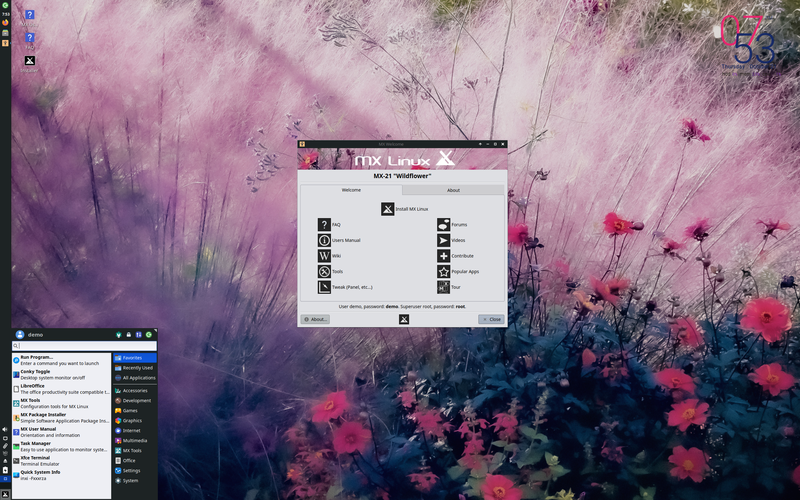 MX Linux, a desktop-oriented Linux distribution based on Debian's Stable branch, is a cooperative venture between the antiX and former MEPIS Linux communities. The project's latest update is MX Linux 18.2, which provides security updates, improvements to the installer, and an updated set of MX tools. "We are pleased to offer MX-18.2 official release ISO for your use. MX-18.2 is a refresh of our MX-18 release, consisting of bug fixes and application updates since our original release of MX-18. Note: existing users do not need to reinstall. All bug fixes and additions will come through the regular update channel. Updated packages: the latest updates from Debian 9.8 (Stretch), antiX and MX repos, including Firefox 66.0.2, VLC 3.0.6 and many more. New and updated mx-apps: mx-installer (based on gazelle-installer) now has configurable encryption cipher options as well as selectable ESP install location. Autoinstall also received fixes for partition alignment. mx-repo-manager now lists even more repository mirrors." Further details are available in the project's release announcement. Download: MX-18.2_x64.iso (1,382MB, SHA256, signature, torrent, pkglist).